The Stevenson University (formerly Villa Julie College) takes great pride in the success and prestige of their Department of Athletics. Stevenson, located in Owings Mills, Maryland, wanted to honor their sports program by creating a Stevenson Hall of Fame that would recognize all of their student-athletes, coaches and administrators in the Athletics Program along with their accomplishments during their time at Stevenson University. To celebrate Stevenson’s 20th anniversary since entering the NCAA Division III athletics league, the university decided to create a state-of-the-art Hall of Fame to showcase all of their accomplishments. Stevenson wanted to have something special for their Hall of Fame. They became aware of what Penn State University did in their All-Sports Museum which was exactly what they were looking for… to display their sports information using easily accessible interactive kiosks. In addition they wanted large video walls to provide a ‘wow’ factor, and a Content Management System (CMS) to manage and control the sports information displays in real-time. 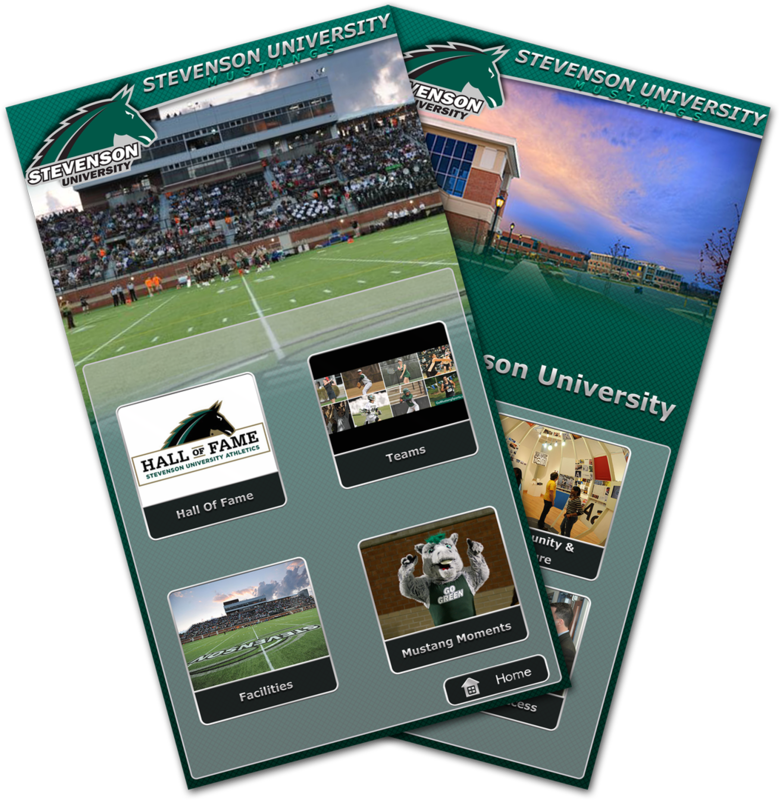 Stevenson contacted Marketechs, an exhibit design studio who has worked with many universities, and shared their idea for their Hall of Fame and their interest in a design that supported interactive displays. Marketechs had previously partnered with Livewire Digital to create the Penn State exhibits, and once again contacted Livewire to provide the interactive software application to meet Stevenson’s requirements. Marketechs and Livewire Digital, along with Pro AV supplier Spire AVL, were able to provide exactly what was required. 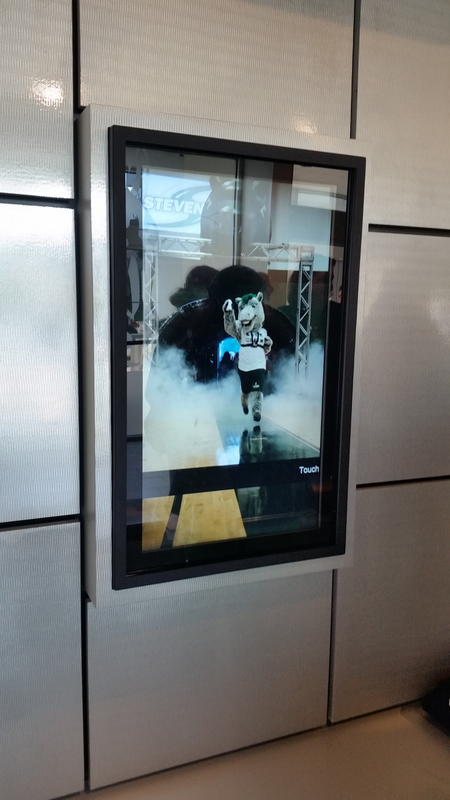 Stevenson University now has a large interactive kiosk and two ultra-high definition video walls that exude pride in their athletics success. Their interactive kiosk uses Livewire’s eConcierge CMS (Content Management System) and Sports Management module to easily update the Hall of Fame and other sports and academics database with up-to-date information managed by school personnel. The functionality provided by this enterprise-level solution includes: configurable attract screens, kiosk health monitoring, usage statistics, remote content management from a user-friendly web-based interface, and application lockdown to secure the school sports data and network. 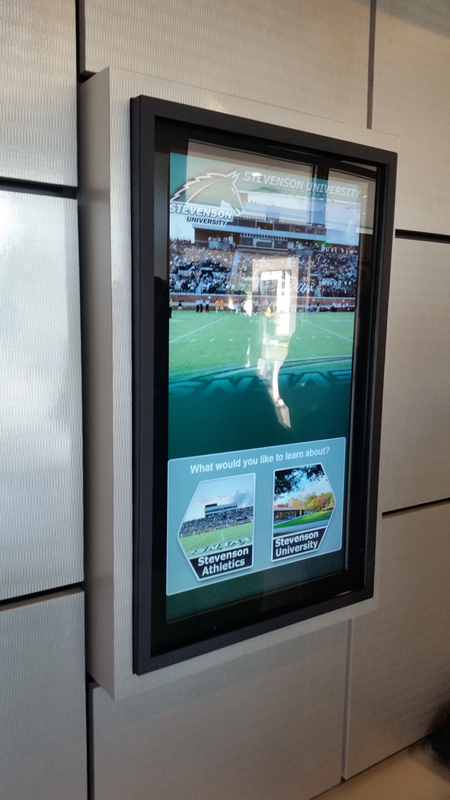 Enhancements are planned to allow much greater interactivity and control of the video wall via the kiosk, and future expansion will provide access to Stevenson’s academics and athletics programs via interactive touch screens both on and off campus. Stevenson now has a place where they can display all their sports teams’ accomplishments from the past 20 years and for many years to come.